Skewer is a nice animation effect for Compiz and it shows up even nicer if used as a Minimize effect. This is my first attempt at video recording/editing, so please bear with me. 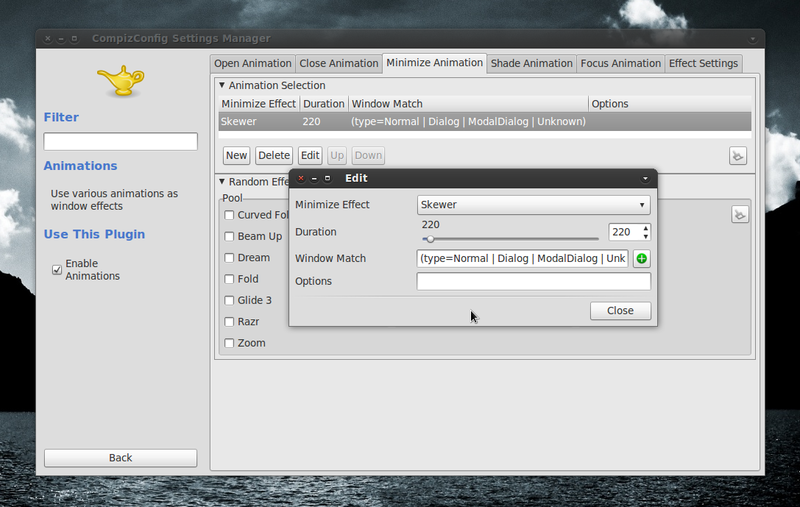 Tweaking Skewer as shown in the video above and setting it as the Minimize animation involves 5 simple steps. 2. 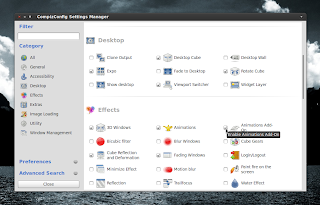 Start CCSM by going to System > Preferences > CompizConfig Settings Manager in classic Gnome or by searching the Dash in Unity. 3. 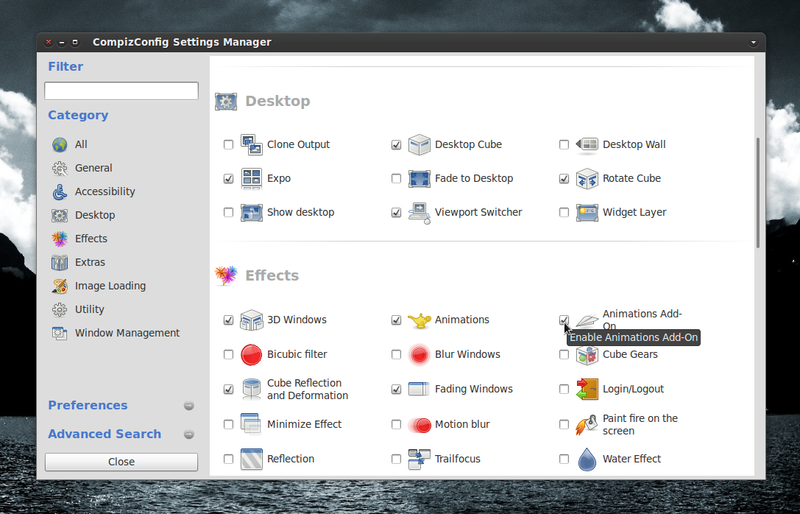 Look for 'Animations Add-on' and enable it by ticking the box ahead of it. 4. Now click at 'Animations Add-on' and near the very bottom, expand 'Skewer'. 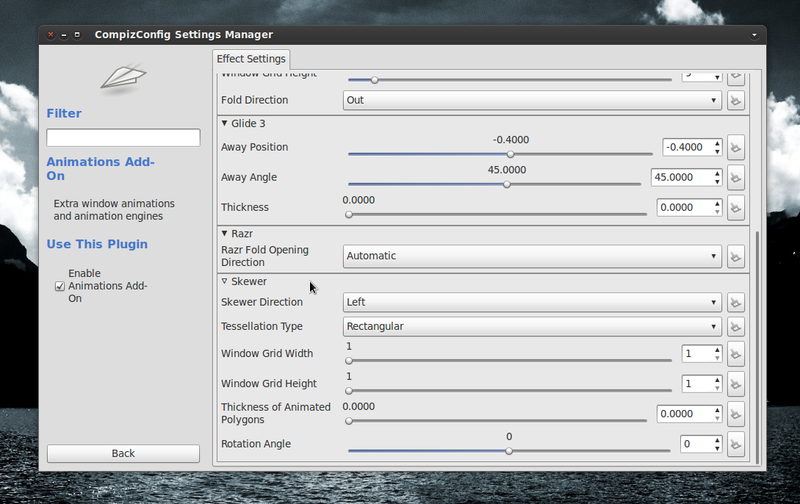 You need to change the settings as shown in the screenshot below. 5. Go back to the CCSM main page and click at 'Animations' this time. Under the 'Minimize' tab, double-click the already listed effect and choose 'Skewer' as your animation effect. Thanks to Copper Bezel from the Ubuntu Forums for the basis for these instructions.